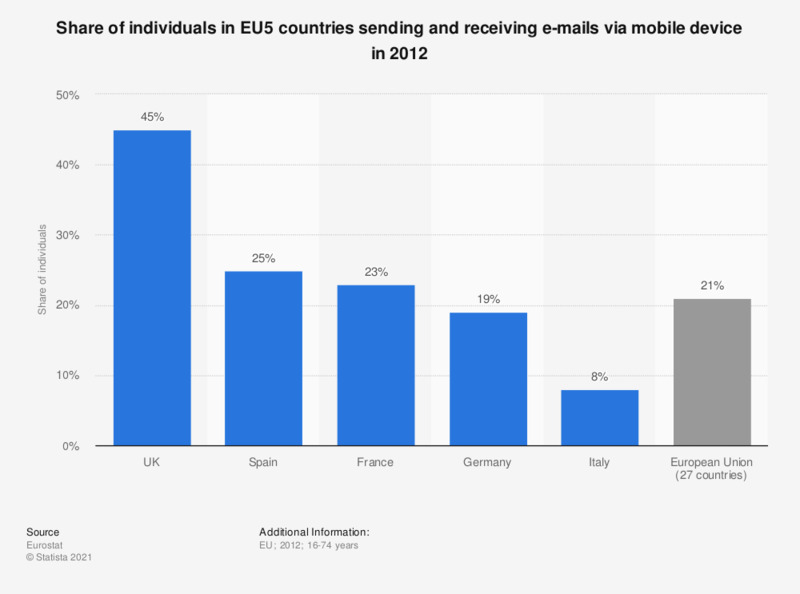 This statistic shows the share of individuals in EU5 countries who sent and recieved e-mails via a mobile device in 2012. In 2012, 45 percent of individuals in the UK sent a recieved e-mails via mobile device. Mobile devices include any mobile or smart phone, PDA, MP3 player, e-book reader or handheld game console.